Here is a list of some of the publications that include my photographs. 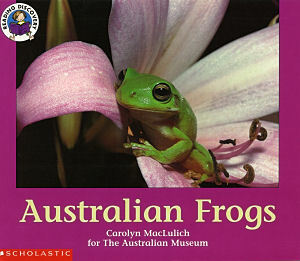 Front cover photograph on Australian Frogs by Carolyn MacLulich. Animal Feet by Carolyn MacLulich. Australia Spiders by Carolyn MacLulich. The Reef Aquarium: Volume 3 by J C Delbeek and J Sprung.